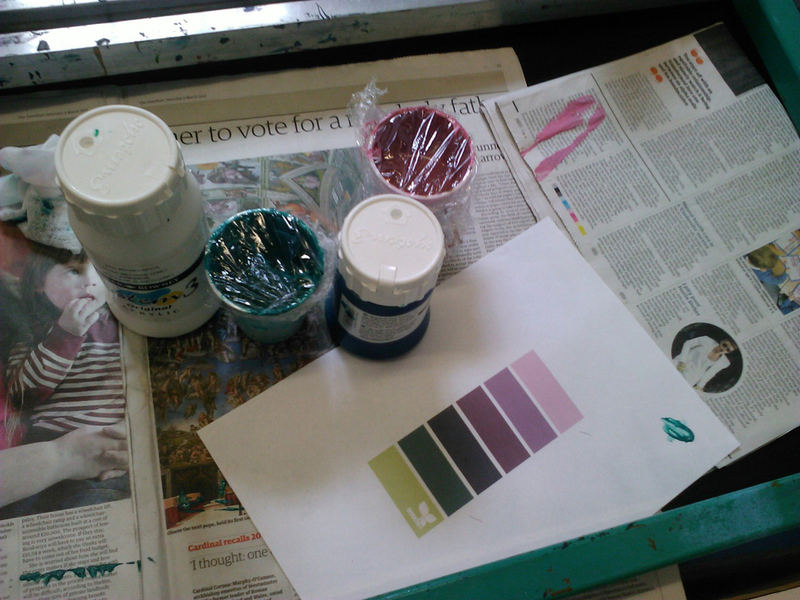 Thought I'd share a few snaps showing the progress of my latest screen print with you! 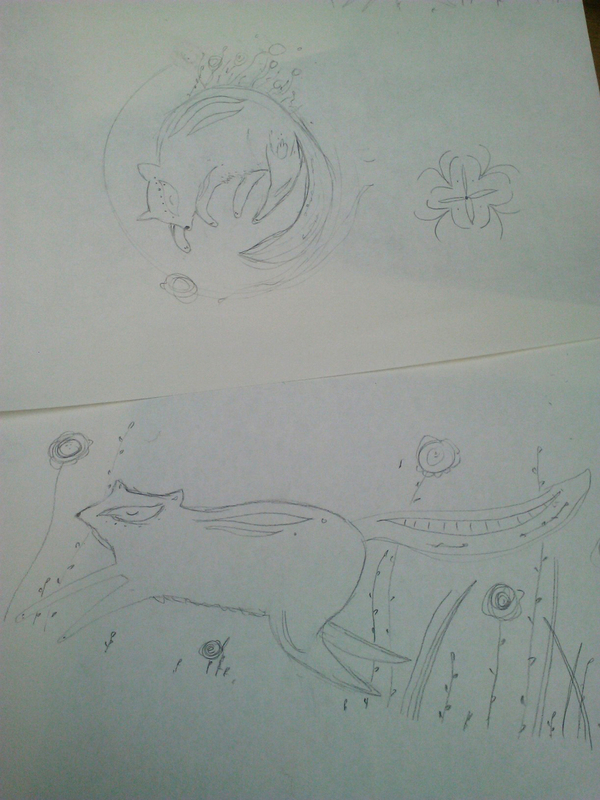 First of all I get some rough sketches together to whittle down ideas, here were my final 2 in sketch form. Then on sheets of paper I separate out my colour layers and begin inking in! After scanning and a little tidy up my image was ready to be printed out onto acetates! Here are my two layers of acetate and my hand torn paper ready to rock and roll at the studio. Can you spot the fox and the flowers? And then I run a few test prints onto some newsprint just to make sure colours are spot on and the design is printing through properly, and then it's onto the hand torn (precious) paper! Ta da! 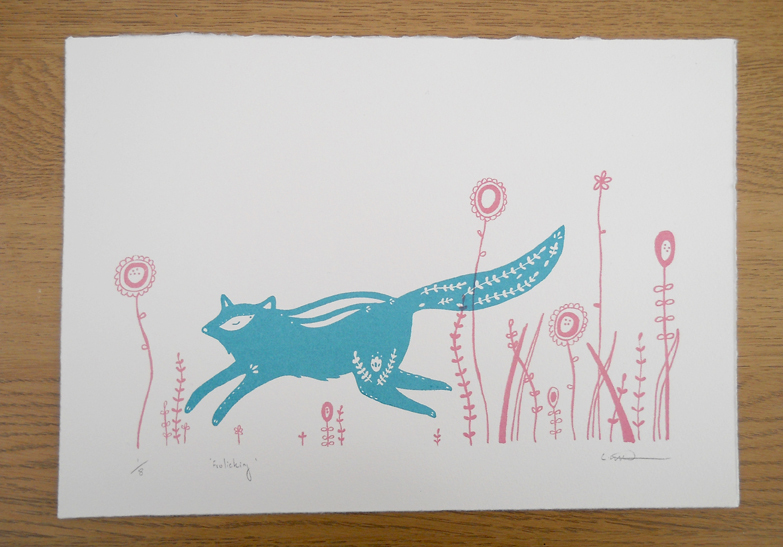 A sunny new addition to my print family, what do you think?